They genuinely care about you rather than seeing you as another person to quickly finish and send out the door. Iwas nervous trying a new place I knew nothing about but Robin at the front desk was right away so welcoming. I sat down expecting to wait 10 minutes but after several appointments the longest I've waited is 5 and its typically more of a 1 minute wait. The dentist and hygienist explain everything thoroughly and are very friendly. I'm very happy with my crown and other work they have done on my young children ages 5-10. They genuinely care about you rather than seeing you as another person to quickly finish and send out the door. I was nervous trying a new place I knew nothing aboutbut Robin at the front desk was right away so welcoming. I sat down expecting to wait 10 minutes but after several appointments the longest I've waited is 5 and its typically more of a 1 minute wait. The dentist and hygienist explain everything thoroughly and are very friendly. I'm very happy with my crown and other work they have done on my young children ages 5-10. **OFFICE POLICY: Cash patient please call the office to schedule, on a case by case basis, conditions apply 1. Payments are due at the time of service. Please call us to determine your insurance and co-pay eligibility if needed. 2. Rescheduling/Cancellations: Please note that rescheduling appointments within 48 hours are charged a fee and cancellations done within 48 hours are charged a fee. ** Dr. Dipti Srivastava, has been practicing Dentistry since 1999. She is very well respected among peers & highly rated by her patients for her dental skills, experience as well as her gentle, compassionate approach to dentistry. Dr. Dipti has a Doctorate of Dental Surgery (D.D.S.) degree from University of California, San Francisco and a Masters of Dental Surgery (M.D.S.) degree from King George Medical University, India. Dr. Dipti has received special training in Invisalign, Cosmetic Dentistry, Dental Implants and also provides Oral cancer screenings. Dr. Dipti sees patients of all ages including children & seniors and strives to provide the best in dental care to everyone in the family. Her special interest are in dental implants, endodontics & pediatric dentistry and children are specially close to her heart – a happy smile from a child after a dental treatment makes her day. Dr. Dipti relocated to Bellevue in 2002 and fell in love with the Pacific Northwest. She lives in Redmond with her husband and teenage daughter. 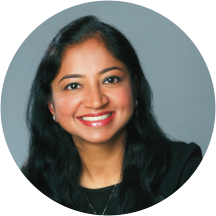 Dr. Dipti is a member of the American Dental Association (ADA), Washington State Dental Association (WSDA), and Seattle King County Dental Society (SKCDS). Dr. Dipti contributes significantly to the community providing dental services as well as supports Hopelink and United Way. Went for consult to get options for getting some teeth as I have many missing and some broken. Robin greeted me at desk, helped with paperwork and kindly gave me resource materials for options of financing, as I am looking forall in 4 implants and my dental insurance caps at 2000 per year. These are from 3rd party companies that does dental care financing. Dental assistant took me back right away got me comfortable in chair. She was very nice and comforting and experienced. She helped tremendously with x-rays, was a little tricky with missing and broken teeth to bite on instrument for films. Took pictures and got the Dr, and stayed with me. Dr. Dipti came in right away. Did a through assessment of teeth and gums. She gave me all my options explaining each. Which were savable and which were not. Discussed the standard dentures and implanted dentures and possible one denture implant and one partial. She never pushed one or the other, listened to my needs and developed a treatment plan to fit my needs. Thank you for making me comfortable, listening to my needs and giving me options. as usual ,a very pleasant and personal experience! i have lived in many states and always look for KINDNESS in any of my healthcare choices and if not evident..i switch to another doctor. Dr. Dipti is very kind and genuine .Theoffice staff reflect her manner and always leave me smiling. Very nice and warm group of professionals. Robin is first rate! The visit was great. I was attended right away. Dr. Dipti is great and very professional. Nice and clean area. Friendly, professional, communicates everything you need to know about treatments, options, etc. Considering I had my problem over a Labor Day weekend, plus a day, in addition, when the staff was in its Puyallup offices, they managed to get me into their Auburn offices as quickly as was possible. Once I was checkedin, the service, as regarded my broken tooth and a much-needed tooth extraction was painless and excellently achieved. I found this staff continually upbeat and determined to make my experience completely painless and as non-traumatic as a dental experience can be. Professionalism all of the way around, thank God(dess)! If you have an emergency dental problem, within this agency's area, don't hesitate to check in for some excellent professional help in solving whatever your dental problem. My appt. Was actually scheduled for 3: 30pm, but they got me back earlier. Very friendly, professional, and make you feel at home! Highly recommend!! Thank you Dipti Srivastava and staff! Friendly, welcoming atmosphere. Great staff. All take time to answer questions, go over any issues. Advice without pressure to get things done. Always very thorough and I never feel like they are taking advantage of me and requesting services that are not necessary. Never had such a experiance with someone that's suppose to be a professional. Dr didn't read my form that I filled out, so didn't know I was on medications and didn't care I hadn't been to the dentist in 20 years. Skilled hands of a surgeon when it came to getting me numb, didn’t even notice the needle! She was absolutely great! I went in without an appointment and was seen soon as I filled out my paperwork. Communication on what was being done to me was impeccable. Even asked me if I had time for extra procedures. The staff was fantastic, andi cant believe i am saying this about a dentist office, but i cannot wait to go back. Marina was great and thorough. She is so gentile and made sure to take the extra time to make sure I was comfortable. Definitely recommend her! They never explained that I needed to come back to get a crown put in. I had to ask. This office does not communicate to the patient very well at all! I thought Dr. S. did a fantastic job. This was my first visit with her. She replaced 3 old fillings. She did them all on the same day even though they were in 3 different parts of my mouth, which wasfine with me. I also loved the fact the staff DID NOT put any new weird contraptions in my mouth while performing the fillings. My other dentist used a "damn" and several other weird things that were ridiculously uncomfortable and unnecessary, I will be going back next week for a crown. Dr. S. is the bomb! I went it for a cleaning as I hadnt been to the dentist in a while. Dr. Srivastava found a cavity and was able to fill it THAT DAY! I was so thankful and appreicative. The whole office is warm and helpful. Definitely make her your dentist! I truly love everybody in this dental clinic. Dr.Dipti Srivastava knows what she is doing and she took care of me the way I wanted my dentist to be. Her dental assistant Julliane is also very friendly and good. I alwaysfeel comfortable with them I am always looking forward to see them to finish all the dental work they have to do on me. What a good experience I had with them. My very first visit in dr. Dipti's dental office was excellent and worth - recommending. Everyone who saw me , from the receptionist ( Stephanie ) to the last person who is the doctor was so friendly and will just giveyou the feeling to come back. I haven't been to a dentist for more than 10 years because of fear of someone messing up with my teeth but I tell you , the staff and everyone in this dental clinic is great. I truly recommend Dr. Dipti Srivastava's clinic. I arrived a few minutes early for my appointment and had just sat down when they called me back. I got my crown put in and left within an hour. Great service and friendly staff! I love this office. They are always pleasant to deal with and everyone is friendly. I've had multiple visits here with never a long wait. I highly recommend this dentist. First off - Dr Srivastava and her office are outstanding. I've been looking for a dentist that made me feel like a patient and not a revenue source. Her office has been a wonderful find. Even though she has been inIssaquah for almost 20 years - I just found her by searching my insurance website. And before writing a review - I wanted to experience both a cleaning and dental work (crown). It was one of the best dental experiences I've ever had - and would highly recommend her to anyone looking for a great family dentist that makes you feel good about dental health. ---------------------------------------------------------------------------------For those interested - here is my story trying to find the right dentist. After moving to Seattle in 1985 - I had a great family dentist that treated patients well. He provided great care for the family - and never did unneeded work. It was just right. Well around 2000 - he retired and for the last 17 years I've been looking for the right family dentist. In that time most of dentists made me feel like an ATM machine and horrible at dental hygiene. Every appointment I felt pressured to do more things - like night-guards, multiple crowns, replace all of my fillings. While they made a convincing arguments - it finally dawned on me when one dentist actually used the phrase - "Let's maximize your insurance benefits for the next few years." This was another way to say - how much money can I make from you and your insurance. While none of the dentist did anything unethical - except maybe one - I always left my appointment feeling used and dreading coming back. I did not fear the drilling or other typical dentist concerns but didn't want to be badgered about extra services while trapped in a dental chair. Well - to my rescue came Dr. Srivastava's office. Upon arriving - it didn't look like a palace with high-tech coffee makers, fireplaces or expensive paintings. It felt like a nice family dental practice. During my visits Dr. Srivastava and her staff made me feel at home and comfortable. And something that really stood out was how time Dr. Srivastava spent with me. Basically she is very down-to-earth and professional dentist. Needless to say - I am writing a very positive review because my experience was great and their work was excellent. And I've found my family dentist again. Stephanie at the front desk is very knowledgeable and explains billing and benefits thoroughly. Julianne is my FAVORITE dental assistant! She is extremely kind and listens to my concerns during my visits. She puts me at ease during difficult procedures. The staff is great and the dentist are top notch! I have had so many dentists over the years and Dipti is the best dentist I've ever had. She keeps things simple, clear, and concise. She doesn't try to sell you services that you don't need. She is a dentist Ican absolutely trust and I never dread visiting her office like I used to do when it was time for a dental appointment. Dipti is great! Really appreciated the care with my extreme level of anxiety. She was friendly, talked me through everything and made sure I was doing okay throughout the entire appointment. She always stopped to answer any questions I had and made gettingcavities filled a (somewhat) breeze of a time. Although I don't plan on getting anymore cavities, I would trust her and the staff here with my future dental needs! The office was very cozy and the staff was very kind. I was immediately taken in after I arrived and they efficiently cleaned my teeth. Dr.Dipti was very gentle and caring, consistently checking up on me while doing the exam. Ilove my smile! I would definitely recommend Dr. Dipti. very professional and proficient team. Just three people to thank. The appt/reception person, the dental assist./ hygen. and the Dentist. they all were as above. I enjoyed the experience. No big frills or attitudes.. just work and relaxed.The dentist is great, efficient and factual. She provided me, along with staff, with options for care after full xray services ..digital and immediate. I paid for them and they emailed the results directly to me. .. a benefit that dentists in the past have shown some reluctance to do. This office is very upfront and to the point. I like this experience very much. Now I have choices to make and a plan to set in place. Excellent! It was good! I will definitely recommend her and come back! The only thing that threw me off a little was they seemed to rush the cleaning and then put me in another room to make way for a gentleman that was getting an implant. But I was late to the appointment.Also the young lady that polished my teeth was very inexperienced. As a workforce development specialist; I am consistently inspired by Doctors who serve our community by taking on Interns. In both visits, I witnessed 'growth' and 'focused learning opportunities' that were centered on the provision of qualitycare and excellence in customer service. Dr. Srivastava was exacting and detail oriented. These traits were complimented by knowledgeable and warm employees, worthy of mention...2 Interns, a Dental Assistant and Medical Secretary/Receptionist. Thank you. Excellent. I have a terrible time with dentists but she has really helped me to get better feelings about going to a dentist. I greatly appreciate how she and her staff are so caring and helpful. The people there were really nice esp the assistant Jaime or Julie(I forgot her name).